Agra is a city situated on the banks of the river Yamuna in the northern state of India, Uttar Pradesh. It is one of the most populous cities in UP. It is home to the iconic ‘Taj Mahal’. Apart from the tourism business, the economy is driven by agriculture, crafts, textile and leather shoes. This city is famous for its sweets nation-wide. CASHe- The Quick loan app is available on all the smartphones via Google play store or Apple app store. These apps let you take an instant loan without any hassle. The application process is smooth compared to the traditional banks. People now prefer taking a quick loan through online apps. Such apps offer many benefits to its users. The interface is quite user-friendly and almost everyone can operate and use the app without any difficulty. The whole transaction is paperless and can be done online. One doesn’t have to visit any branch or bank. You can apply for a personal loan sitting at home or office. The interest rates offered are quite competitive as the duration is short. These are unsecured loans, you don’t have to showcase any asset ownership to avail a quick loan. People take an instant loan for various reason like a medical emergency, for home repair, for travel expenses, educational expenses, debt consolidation, balance transfer or top or to buy any other large asset. The reason can be anything, the entire process is private and your data is completely secure. This is the reason people prefer such quick loan via app because of its convenience. The application process is simple, all you have to do is download the app and follow a few simple steps. The amount of the personal loan can be as per your personal requirement. You can get an instant loan starting from ₹ 10,000 to ₹ 2 lakhs. The tenure of the quick loan can be 15 days, 30days, 90 days or 180 days. If you need a personal loan in Agra, you will need your salary slips, bank statement, Pan Card and your residential proof. Again, as it is an unsecured loan, you do not need to showcase any assets like home or car in getting the loan approved. The quick loan app reviews and approves your personal loan request within a few minutes. The approved amount is then disbursed in your personal savings account. Apart from the flexible payment tenure and amount, there are other advantages of taking a personal loan from an app like its availability. You can take this a quick loan at any given hour of the day to get out of a financial emergency.Another advantage of these apps is that you can instantly check your loan status on the app itself, whether it is approved or not on the website. You can repay the app via bank transfer. 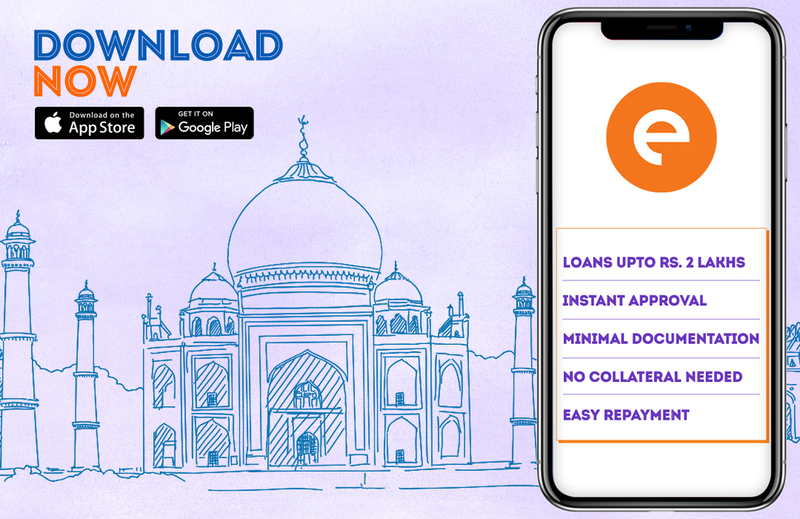 Getting a personal loan in Agra has now become extremely easy due to the loan apps. Apply for an instant loan online through the quick loan apps like CASHe by simply following the above steps.